Shopping for a new Buick Regal? Will Americans notice a hatchback or wagon? At around $33,000, Preferred II trim with Driver Confidence Package includes parking sensors, blind-spot monitors, bigger wheels, and unlocks more color choices. Leather upholstery can be added, but we’ve noticed some quality control issues with leather seating in several GM cars recently tested. The 2019 Buick Regal is a new idea on an old name. Available as a fastback or wagon this time around it's certainly sharp, but could use a little more polish. The 2019 Buick Regal stretches far for its mid-size moves—across the ocean, in fact. The Regal comes in a fastback body shape or a long-roofed wagon shape, both by way of Europe where they’re sold under the Opel brand. GM formerly owned Opel. A sportier Regal GS was new last year, and all three cars share styling, underpinnings, and interior details, but target entirely different audiences. This year, a new range-topping Regal Avenir trim level adds special upholstery, unique 19-inch wheel designs, and more standard equipment to the lineup. The Regal’s turbo-4 is paired with an 8- or 9-speed automatic for front- and all-wheel-drive models, respectively. The Regal GS sports a 3.6-liter V-6 that makes 310 horsepower and it’s equipped with all-wheel drive, adjustable shocks, sport seats, and sporty body work. 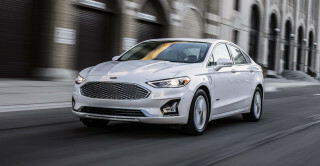 The Sportback’s styling and manners are that of a fastback sedan, with maximized utility and cargo space in an almost-standard four-door shape. With up to 60.7 cubic feet of cargo space the Sportback reaches almost into crossover territory. TourX models are aiming directly at mainstays like the Volvo XC70 and Subaru Outback. 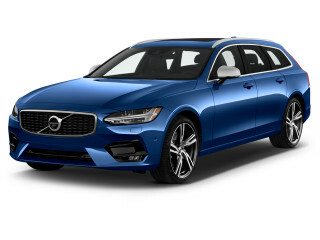 The big wagon stretches nearly a foot longer than its closest competitors and rides about an inch higher off the ground than the Sportback. The 2019 Regal has innovative safety tech included that pops the hood when the car senses imminent pedestrian impact. This lessens the impact and reduces the chances of injury. The Regal is available with a suite of advanced safety features as well, but only at the top trim levels. 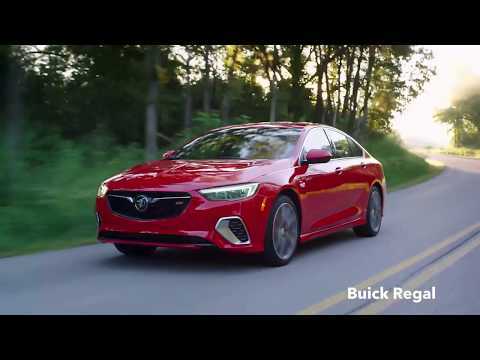 The 2019 Buick Regal Sportback disguises its hatch in a well-formed and attractive sedan body. The 2019 Buick Regal is offered as a hatchback or wagon, which is called TourX. 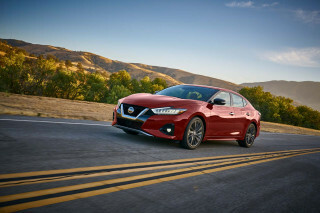 It rides the trend made so popular by several luxury brands in recent years, where the hatchback is more four-door coupe than VW Golf. While large, the wagon is a more familiar shape. Both designs are pleasing to the eye, earning an extra point for interior and exterior styling. Even as a hatchback, the Regal isn’t far off from a Honda Accord or Nissan Altima in appearance. The rear half of the car is a bit taller and less contoured, which creates more interior head room and opens up cargo space more than a traditional sedan. Chrome strips accent the grille and outline the side windows, which add a longer and more elegant line to the Regal. The Regal’s nose is chiseled and fitting for a car with such sporty aspirations. Air inlets flank the lower front bumper, which also house fog lights in higher-trimmed models. Out back, LED taillights and a lip spoiler on the hatch complete a clean look all the way around. The new Avenir trim adds 19-inch wheels and its own grille design. The Regal GS, while a Sportback at heart, features more aggressive lines up front, 19-inch wheels, and sharper body work. The TourX is cut from much the same cloth, just a longer piece. The wagon sports reinforced plastic bodywork all around and exclusive 18-inch wheels. Inside, the Regal is uncluttered but never feels too sparse. Lines flow from the dash to the rear of the cockpit, which work to lengthen the look of the interior. With the 7.0- or optional 8.0-inch infotainment screen, the dash centers around a focal point and what few controls there are have been tucked neatly underneath. GS models add sport seats and interior touches. 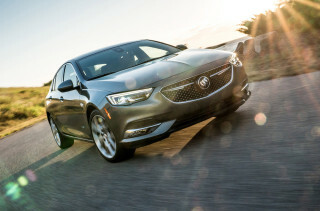 The 2019 Buick Regal is more than just the sum of its parts, and offers a quality ride with decent acceleration. The Regal’s turbo-4 is good for 250 horsepower and 295 pound-feet of torque when paired with all-wheel drive (260 lb-ft in front-drive configuration). Front-wheel drive models get GM’s new 9-speed automatic and AWD Regals get an 8-speed auto. The Regal’s AWD system is front-biased in most situations, with the ability to send power to the rear wheels when needed. Its also a twin-clutch setup, which balances power between the rear wheels for better traction. The turbo-4 in the Regal Sportback is a good fit for the car and gives it just enough juice to be fun while keeping a refined feel. The Sportback does the 0-60 mph sprint in about 6.2 seconds, which is plenty fast for a car of its type. The powertrain’s tuning combines to deliver power whenever needed, and the transmission never has trouble finding the right gear. The chassis is well-engineered and the steering setup delivers confident handling and maneuverability. Regal Sportbacks come with MacPherson front suspension and four-link independent rear suspension. The Sportback’s ride is fun and responsive but falls just short of sporty. The sporty pick in the Regal lineup is the Regal GS, which was new last year. With a 310-hp 3.6-liter V-6, the Regal GS is a sleeper among fleet-footed sedans. It’s not particularly light—the GS tips the scales at 3,796 pounds—but can hustle up to 60 mph in less than six seconds. The GS pairs the V-6 with a 9-speed automatic, but paddle shifters are a no-show. That initial disappointment is somewhat tempered with good programming in Sport or GS drive modes that holds on to the right gears for longer. Like the Regal Regular, the Regal GS sports an all-wheel-drive system that prioritizes power to the front wheels, but sends it rearward for better grip, side to side. It’s one of GM’s better all-wheel-drive systems—even better than most of their crossovers. The Regal GS has heavier steering than the rest of the Buick lineup, partly thanks to a suspension designed with constant-adjusting dampers. Although it’s firm, the suspension is sill compliant—even in GS mode. We found better middle ground in Sport mode, where the Regal GS strikes a good balance between crisp performer and smooth rider. Where the 2019 Regal falls short on attention to detail, it more than compensates with extra cargo space. The Regal Sportback is deceivingly large inside and the TourX packs even more cargo space under its long roof. With the benefit of a slowly sloping roof on the hatch and rear folding seats, the Sportback offers up to 60.7 cubic feet of cargo space. That’s nearly double the size of other mid-size sedans and only a short hop away from many small crossovers. Taller items will have trouble fitting under the sloping roof. The TourX brings up to 73.5 cubic feet to the table, which matches small SUVs like the VW Tiguan, and does so in what is arguably a more stylish package. Rear seating arrangements in the Regal also benefit from the extra space and offer comfortable accommodations for taller passengers. Front seats are spacious as well, but don’t get power adjustment options without moving up the model line by a few trim levels. After all the attention paid to cargo space, Buick fell just short of offering usable spaces in other areas of the cabin. A clever wireless charging mat for smartphones is included and a roomy center console, but not much else. Door bins are shaped awkwardly and don’t offer the utility that some competitors’ offerings do. The Regal would benefit greatly from another open tray or storage compartment. Disappointingly, the Regal’s interior is only slightly better than those of its downstream cousin, Chevrolet. Buick has sprinkled some soft-touch materials throughout but left hard plastic in many areas. The optional leather seats are stitched unevenly in some places and some parts of the cabin seem to have been forgotten altogether. The Regal does benefit from Buick’s characteristic heavy-handed sound deadening, with active noise cancellation and even foam in the tires to soak up extra road noise. Buick could do a lot more to offer some of the advanced safety features at all trim levels of the Regal. Without official crash scores, the Buick Regal is well-equipped with dual-stage front airbags, side curtain airbags and front knee airbags. A rearview camera is standard on all models, and a pop-up hood helps limit head injuries if the Regal collides with a pedestrian—a holdover from the Regal’s European roots as an Opel. Active safety features are available, but on high trim levels. The Essence and GS models can be equipped with a Driver Confidence Package 1 that adds blind-spot monitors and rear parking sensors. A spend-up Driver Confidence Package 2 adds forward collision warnings with automatic emergency braking, adaptive cruise control, and active lane control. You get what you pay for in the 2019 Regal, with only the range-topping models getting some of the best features. The 2019 Regal Sportback is offered in four trims: base, Preferred, Preferred II, and Essence. 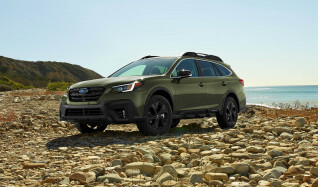 Base models start at $25,995 and include cloth upholstery, manual seats, power windows and doors, air conditioning, keyless ignition, folding seats, and 17-inch wheels. OnStar with 4G LTE hotspot and emergency assistance, USB, and a 7.0-inch touchscreen with Apple CarPlay and Android Auto compatibility are also standard at the entry level. Buick includes a neat feature that allows parents to set parameters for their teen drivers as well. That all sounds good as long as you're fine with white or silver paint. No other paint colors are available on the base Regal, making it feel like an old-school loss-leader designed to bring shoppers into the showroom before they drive home with a much more expensive model. The Preferred trim adds a surprisingly limited feature set despite adding $2,600 to the base price: a power driver's seat, leather-wrapped steering wheel, and an auto-dimming rearview mirror. However, the Regal Preferred is the gateway to a wider palette of colors and more optional equipment such as blind-spot monitors, 18-inch alloy wheels, and an 8.0-inch touchscreen for infotainment. Upgrading to the Preferred II adds 18-inch wheels, fog lights, three-way folding rear seat, heated steering wheel, upgraded 8.0-inch touchscreen, remote start, and ambient interior lighting. The Essence brings along heated leather seating in place of the cloth seats in the lower trims. The Regal Avenir trim level comes standard with quilted leather upholstery and 19-inch wheels, but buyers still have to pay extra for automatic emergency braking. GS models are a different animal altogether, with Brembo front brakes, adjustable dampers, drive-mode select, 19-inch wheels, rear spoiler, sporty body work, and active safety features. The GS’ interior is enhanced by heated and cooled sport seats with adjustable bolsters and memory settings. The GS rings the bell $39,995. The TourX can be had in three trims, ranging from right at $30,000 to almost $36,000: TourX, Preferred, and Essence. These levels are nearly identical to the Sportback’s, with the addition of 18-inch wheels at the base level and the combination of Preferred II and Essence into one top trim in the TourX. 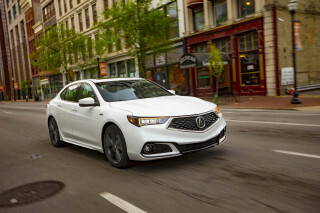 In its base form, the 2019 Regal is competitive against the field at 26 mpg combined. The 2019 Buick Regal's shape helps cut a smaller hole in the wind better than prior generations. Most versions of the 2019 Regal will manage 22 mpg city, 32 highway, 26 combined, according to the EPA. 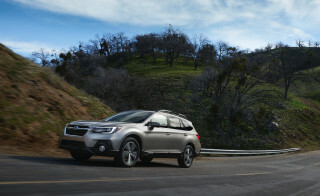 Opting for all-wheel drive or the TourX wagon knocks those numbers down to 21/29/24 mpg. With its much larger V-6, the GS only clocks in at 19/27/22 mpg. Looking for a different year of the Buick Regal?